Sharon and I stopped here briefly on our way to South Lake Tahoe. This is a fairly new historical marker; it appears to have been placed in 2014. 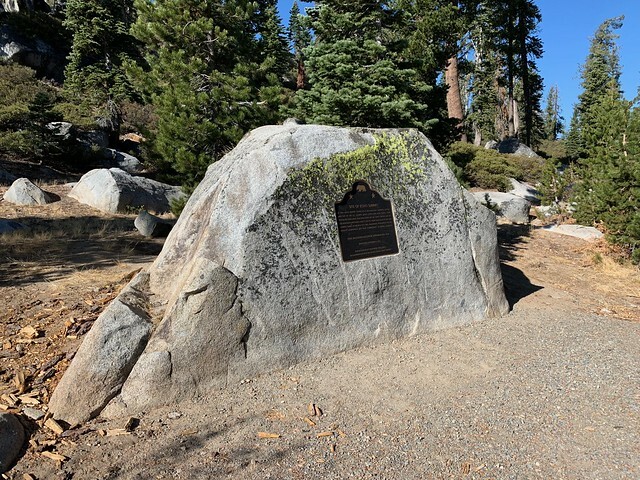 This landmark is located at located at 21200 Highway 50, South Lake Tahoe, California in El Dorado County. There are 30 other California State Historical Landmarks in El Dorado County. 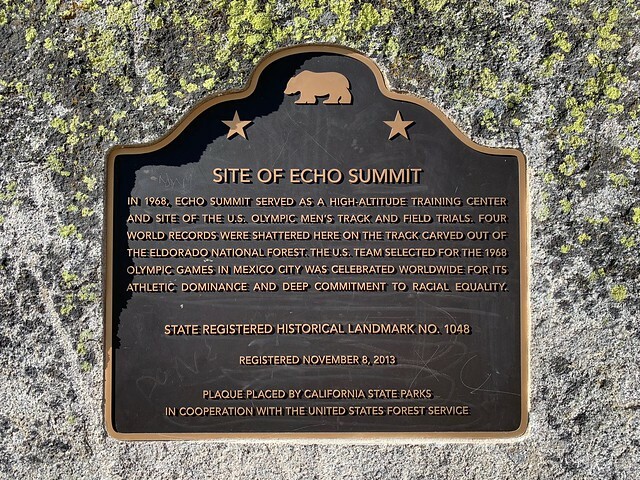 The GPS coordinates for this location are 38° 48' 51.5" N 120° 02' 03.0" W.
In 1968, Echo Summit servied as a high-altitude training center and site of the U.S. Olympic men's track and field trials. Four world records were shattered here on the track carved out of the El Dorado National Forest. The U.S. team selected for the 1968 Olympic games in Mexico City was celebrated worldwide for its athletic dominance and deep commitment to racial equality.